Should Your Face Wash Contain Salicylic Acid? We Tell You The Truth! Salicylic acid is a certain type of beta hydroxy acid (BHA) that works as a ‘multi-tasking ingredient’ in skincare. It is an acid from the ‘hydroxyl group’ containing the OH elements with a reactive quality to the cells in the human body. The acid is named after the Latin name of the willow tree i.e. ‘Salix’, and is extracted from a complex carbohydrate found in its barks. Basically, the willow barks are turned into fine powder, processed with oxidants, and finally filtered to collect the acid. Salicylic acid is used mainly to treat skin ailments, such as acne, psoriasis, sunburns. It is one of the primary ingredients in the popular acne treatment called ‘aspirin‘, which is often prescribed by doctors. As the chemical has great exfoliating properties, it can unclog pores from deep within. This helps it make its way through the list of ingredients in some of the best acne treatments. When taken internally, salicylic acid can work as a highly effective pain reliever. It can impove the circulation of blood throughout the body and helps in easing out the feeling of pain. Hence, it was once given the name ‘vitamin S’ by researchers. 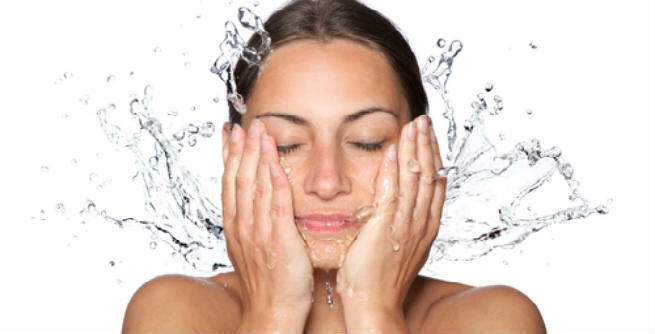 How Does A Salicylic Acid Face Wash Work? Being one of the biggest enemies of acne, salicylic acid can significantly dry up your zits overnight. Acne is caused by the excess production of sebum, which is nothing but the oily substance produced by sebaceous glands in the skin for preventing it from drying. Salicylic acid does not stop sebum production, but it aims at making the skin free from acne and other skin ailments in combination with other products used in the face wash. When you use a face wash containing salicylic acid, it essentially exfoliates the surface of the skin and goes deep into the pore lining as well to offer a deep cleansing effect. Firstly, it breaks down the excess sebum and averts it from clogging the pores. Secondly, it breaks down and dissolves the bonds (also called the ‘intercellular glue’) that make the dead cells cling together. As a result, both the surface and the pores get squeaky clean. Salicylic acid is effective mostly on pimples, blackheads, whiteheads, etc. It does not have much positive effects on cystic acne. Salicylic acid not just makes the face clean, but it works as a ‘deep cleanser’. It removes dead cells from the top layer of the skin, reaches underneath, opens up the clogged pores, and reveals a new layer of the skin, thus making you look fresh and young. If there is anything that can make our face look dull and aged, it is dryness. We are constantly exposed to the damaging rays of the sun, pollution, and stress, causing damage to our skin. Salicylic acid works its way through the skin and eliminates dry, flaky cells so that our skin becomes brighter and more radiant. Face Wash with salicylic acid acts as a keratolytic medication that facilitates the exfoliation of the skin efficiently and effectively. We have already explained above how the acid works to help our skin get rid of dead cells. A face wash with salicylic acid can literally ‘unclog’ the pores and keep them clean while other face washes only make the surface of the skin clean instead of focusing on the pores. Salicylic acid can treat dandruff and seborrheic dermatitis too. This ensures that your scalp doesnot reain dry and flaky anymore, which is good for both the hair as well as the skin. It is a new product for your skin and can cause irritation and dryness, especially if it is clubbed with multiple products constituting the same element to combat the same ailment. You may experience a slight burning sensation during the first few times of application. If the sensation persists even after 5-6 applications, contact your doctor immediately. If used excessively, like any other chemical product, this acid in the face wash too can react with your skin and lead to adverse skin conditions. Make sure that you do not wash your face more than twice a day with a salicylic acid face wash or simply use the way you are advised by your doctor. If you are pregnant, prone to allergic reactions, or already taking any kind of prescription medicines for treating infections or diseases (particularly related to the skin), this product is a total no-no for you. How Much Salicylic Acid In A Face Wash? While choosing a face wash containing salicylic acid is good for your oily acne-prone skin, you should always be careful about how much of the chemical you are putting on your face. Go through the label of your face wash before applying in order to ensure the safety of your skin. Typically, anything applicable to the face should not contain more than 2% of salicylic acid. If it contains up to 3%, it is better to be used for other parts of the body excluding the face. If a product has 10% to 30% salicylic acid, it can easily cause ‘salicylic acid poisoning’.